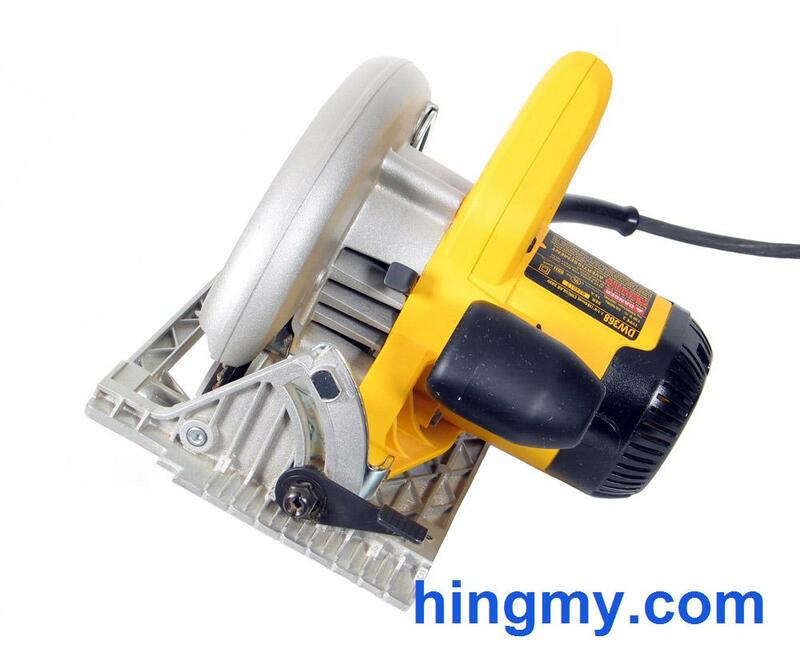 Every DIYer and professional alike needs a good circular saw. The DW368 takes the spot of the small-size performer in DeWalt lineup of circular saws. 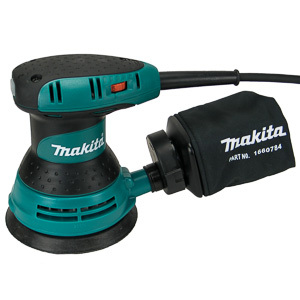 It is an entry level saw with a few advanced features that are designed to make the saw perform. 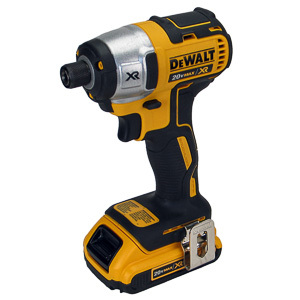 Let's take a look at what DeWalt created for us. The base plate is made from magnesium. Magnesium is lighter than metal, and more durable. DeWalt claims that the plate does not warp or dent. The designers added webbing all through the plate, which seems to support that claim. After a year of use the plate on my saw is still as straight as it was when I took the saw out of its box. The plate shows some wear, but the marks are merely cosmetic. Sliding the saw across a sheet of plywood feels good. The plate provides enough friction for the saw not to slide on its own. At the same time the plate does not create too much drag during a cut. The front of the saw has a built-in ruler. It has marks for the location of the blade. There are tick marks for every inch beyond that. The ruler is indented for construction use where perfect precision is not required. It's possible to get within 1/16" using the ruler, but woodworking precision is beyond reach. The depth adjustment lever is located at the back of the saw near the trigger switch. A single lever holds the shoe in place. To adjust the cutting depth the user has to release the lever, reposition the shoe, and lock the lever again. The lever and the whole shoe that is connected to it are held in position by friction. The lever must be locked with a good amount of force in order to keep the shoe in place during rough handling. If the lever is closed with too much force, losing it can be very difficult. After getting used to the mechanism its not hard to use the correct amount of force to lock the shoe into place. There is no depth gauge built into the saw. The depth must be measured manually at the shoe. 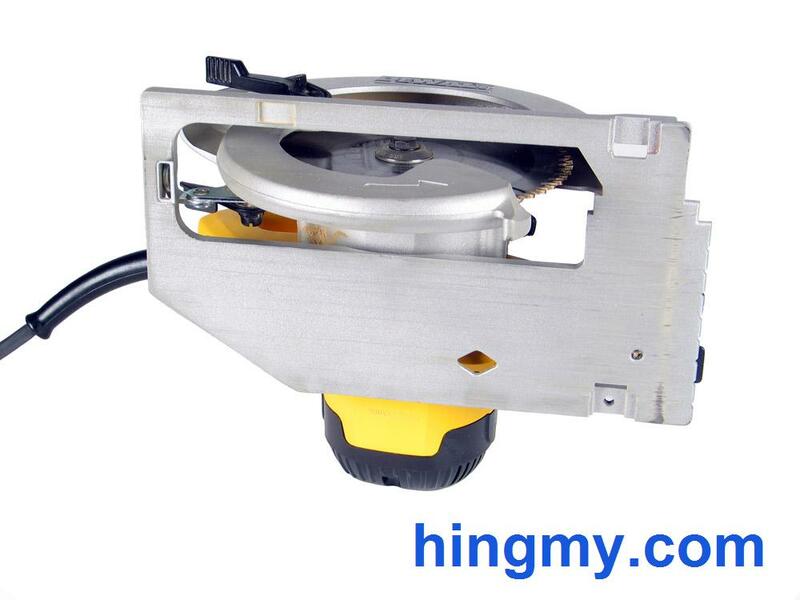 The angle adjustment uses the same lever mechanism as the depth adjustment mechanism. To change the bevel setting of the saw the user must unlock the angle adjustment lever at the front of the saw, reposition the saw, and lock the bevel lever. A good amount of force is required to hold the saw in position during a cut. The DW368 is equipped with an angle gauge built into on of the support brackets. The scale is accurate to within a degree and can be set to the same setting reliably and repeatedly. The saw has bevel stops at 45 and 22.5 degrees. The end of the scale acts as the 0 degree stop (vertical). The angle adjustment bracket locks into the bevel stops with a noticeable click. This is a very good and reliable system. The operator can set the saw to these presets without looking at the scale. The bevel angle of the saw can be set to these presets in seconds. The saw is equipped with a powerful 15amp motor. This is a relatively large motor for such a small saw. 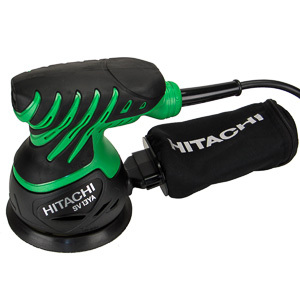 The motor provides ample power for just about any situation. The motor has a built in blade break. The blade stops spinning within a second of releasing the trigger. There are not speed settings. The blade rotates at a constant 5800rpm. The trigger is a switch type trigger for ON/OFF only. The blade on the DW368 is perfectly aligned with the edge of the base plate. All cuts I made were true and square. The 7 1/4" blade puts the DW368's maximum depth in the middle of the pack. The saw has been designed to be a medium-size, agile performer. Equipped with a framing blade, the saw chews through a sheet of 3/4" decking without complaints. The DW368 can be fed at a comfortable rate fast enough for framing. When the saw is equipped with a fine tooth blade, pushing the saw through the cut requires a good amount of force. The cut can be made, but it takes effort. The sight lines on the saw are ok when used right handed. The blade tip is visible when starting the cut. As the user extends his arms the blade blade disappears from view. 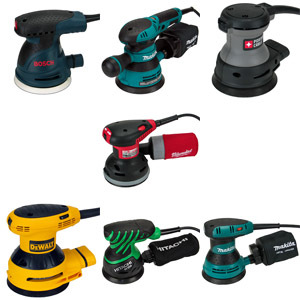 The two grips on the saw allow the user to hold the tool securely and guide it through a cut with control and pace. One handed operation is possible, but does not feel as natural as that of a worm drive saw. Tear-out is a problem even with a fine tooth blade attached. Just like most circular saws, the blade is not supported at the points in enters and exits the material. Tear-out is inevitable. Furniture level cuts made with this saw must be cleaned up with a table saw. This is not a unique issue with the DW368. Almost all circular saws suffer from this problem. A tracksaw is a better choice, if you are looking for tear free cuts. The motor housing protrudes about 1/2" beyond the edge of the base plate on the motor side. If a guide fence is used to guide the saw, the fence must be lower than about 1". If it is taller than that, the fence hits the motor housing and the saw loses its line. During a cut sawdust is ejected at the rear of the stationary blade guard at the top of the saw. Most of the dust lands to the right of the saw just behind the cut. The saw does a good job keeping the sight lines and the front of the saw clear from dust. There is no way to connect a dust collector to the saw. The rear dust chute has no mechanism to attach a hose. A good amount of dust escapes the dust chute altogether. The saw was designed for a construction environment where dust management is not a priority. The DW368 has an arbor lock to make tool changes faster. With the arbor lock engaged a special wrench is used to remove the bolt holding the blade in place. Unfortunately the wrench is too large to fit onto the arbor bolt without hitting the blade guard. The blade guard must be retracted when making blade changes. 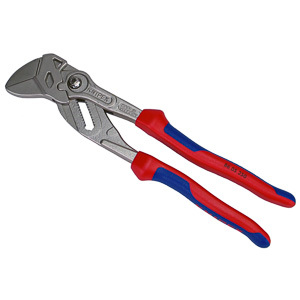 The user has to hold the arbor lock, retract the blade guard, and turn the wrench to change the blade. All of this with only two hands. The whole operation can still be complete in under a minute, but it is not a pleasant experience. The user has to fight the saw in order to get the old blade removed and the new one in place. 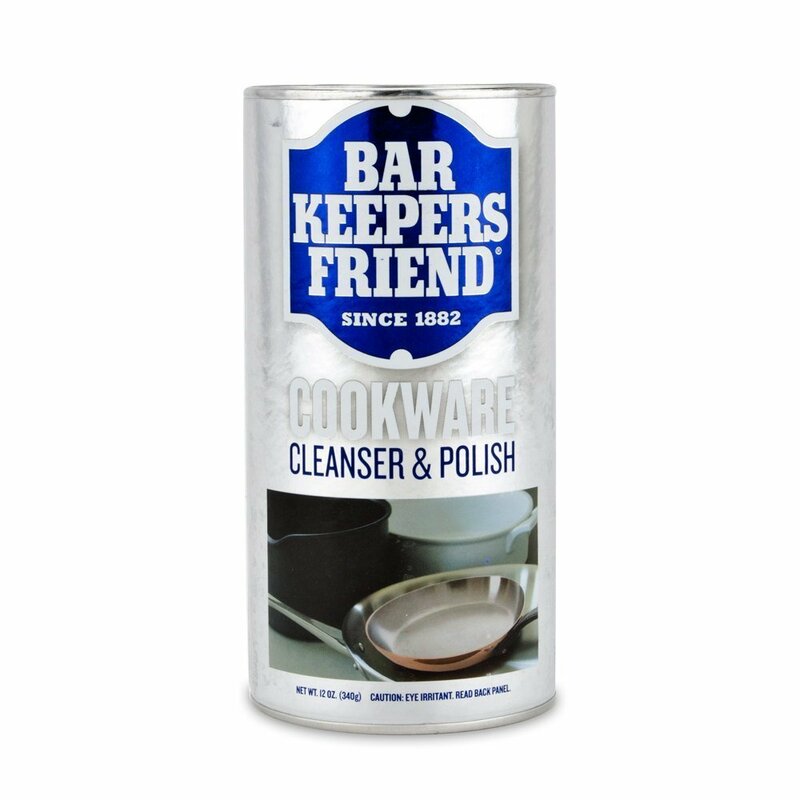 The lower blade guard is made from metal. It retracts as the saw is pushed through a cut. A spring returns it to its original position. When fully extended the blade guard and the stationary upper blade guard completely cover the blade except for about two inches of teeth. The guard retracts smoothly without any rattles or play. When cutting sheets or dimensional lumber, the blade retraction mechanism works flawlessly. Should you want to retract the guard manually, a lever on the guard will retract it. In the fully retracted position the lever is within reach of the user's hand on the forward grip. The lever can be held in the open position by the operator's thumb. It is not possible to lock the guard into the open position. One handed operation of the saw can be difficult, if the guard gets caught on the work piece. The DW368 sits in the middle of DeWalt 7 1/4" lineup. 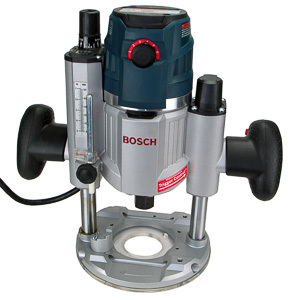 Its little brother, the DW367, has a simplified steel base plate. This make the DW367 considerably heavier, but also less expensive than the DW368. The DW364 is DeWalt's top of the line direct drive saw in this size segment. It offers a knob style depth adjustment mechanism, metal base plate support brackets, and the same magnesium base plate that makes the DW368 so great. 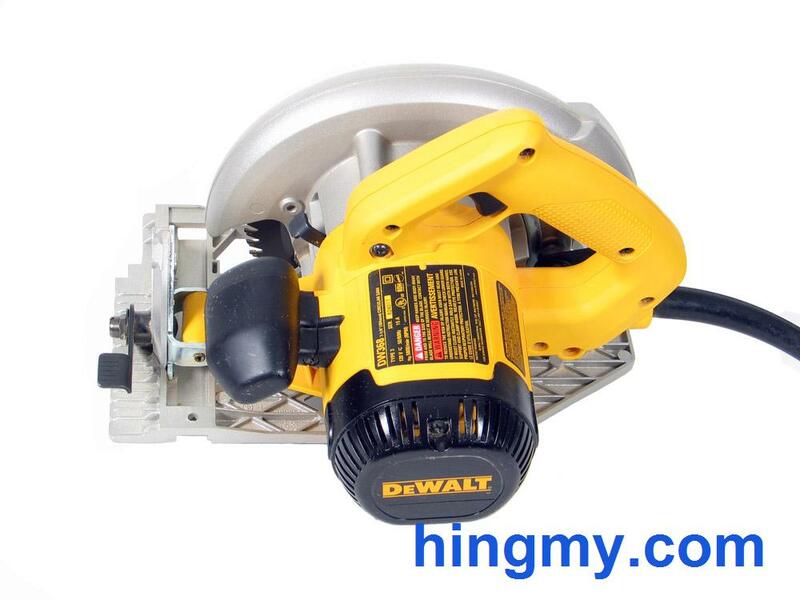 The DeWalt DW368 is a very capable circular saw on the job site and in the home shop. It has the power to make every cut asked of it. 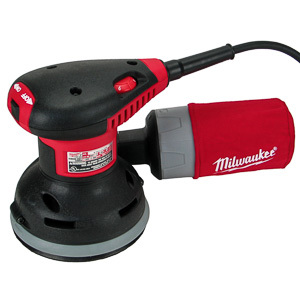 Built from metal with a magnesium base plate, the DW368 will deliver results time and time again. A few extra features like the excellent bevel mechanism, and the perfect blade guard make the saw pleasant to use. 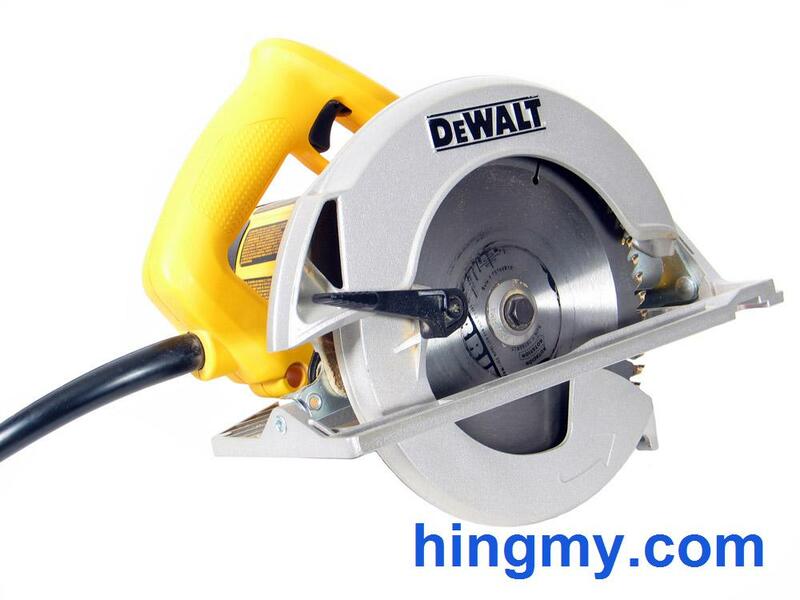 The DeWalt DW368 is a great saw at and even better price. 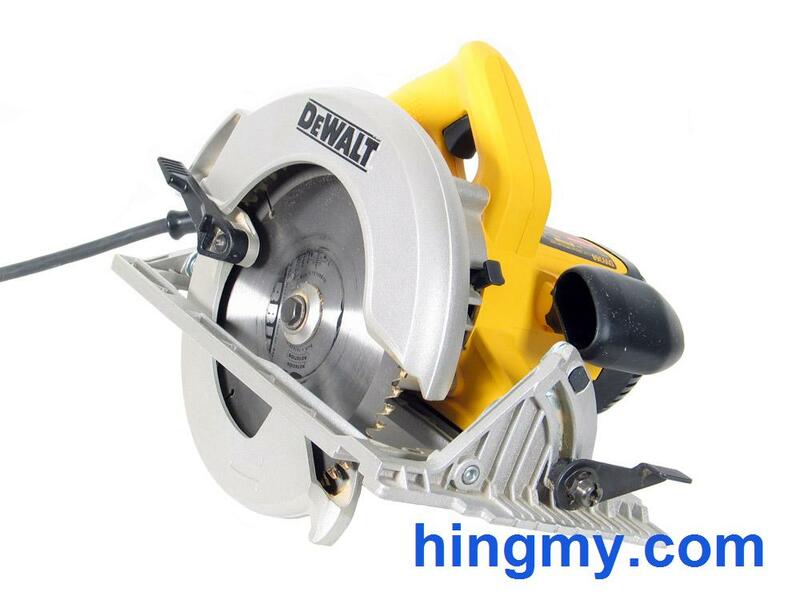 If you are looking for your first circular saw, or for your next one, this saw will serve you well for many years. Depth at 90 2 3/8"
Depth at 45 1 3/4"